Genome-scale technologies have revealed underexplored co- and post-transcriptional processes that regulate dynamics in gene expression. Given the importance of RNA-based processes including development and stress tolerance, the elucidation of these diverse mechanisms can have impacts from food security to biotechnology. This Focus Issue will showcase Updates and Research Articles in the field of RNA biology on topics such lncRNAs, small RNAs, RNA structure and modifications (e.g., m6A, polyadenylation), upstream open reading frames, ribonucleoprotein complexes, and genome and epigenome influence on gene expression. Submissions within this theme might include studies on RNA-regulated chromatin modification and organization, transcript synthesis, modification, splicing, export, turnover, translation, sequestration, subcellular localization, and cell-to-cell movement, as well as RNA processes in plastids and mitochondria. Authors interested in contributing should indicate this in the cover letter when submitting papers online at http://pphys.msubmit.net. Please select “RNA Biology” from the Focus Issue list in the online submission system. 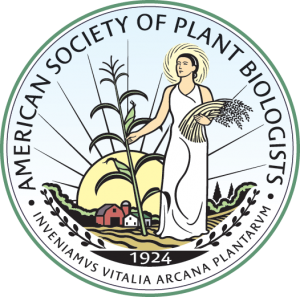 Articles published in Plant Physiology on this topic within 2 years before and after the Focus Issue publication date will be collected in an online Focus Collection. Please contact Julia Bailey Serres (serres@ucr.edu), Motoaki Seki (motoaki.seki@riken.jp), Jixian Zhai (zhaijx@sustc.edu.cn), or Sarah M. Assmann (sma3@psu.edu) for more information.